The last thing you expect to give you lung cancer is your home’s indoor air. But if you don’t have your home tested for radon gas, that’s exactly what could happen. According to an assessment published by the EPA (Environmental Protection Agency) in 2003, radon gas causes an estimated 21,000 deaths a year. Unfortunately, a lot of people are unfamiliar with radon gas, which is why January was named National Radon Gas Action Month. Radon gas is a naturally occurring radioactive gas that cannot be seen, tasted or smelled, which is one of the reasons it’s so dangerous. Unless your home is specifically tested for radon gas, you may never know that it’s there. Radon gas is formed when the uranium that’s naturally present in soil, rock, and water breaks down. Radon gas can exit the ground and enter your home through cracks and holes in the foundation. Because of the way radon gas enters, houses with basements tend to be more at-risk. 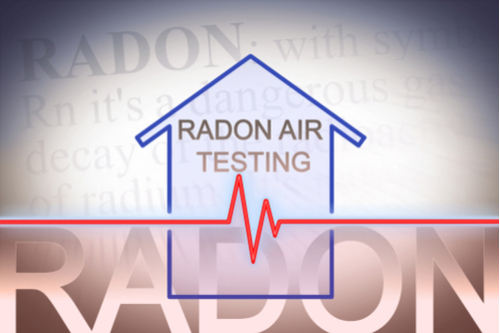 There are two ways you can test your home for the presence of radon gas. They include passive testing and active testing. Passive testing includes the use of charcoal liquid scintillation devices, alpha-track detectors, and charcoal canisters, which do not need power to work. They will need to be exposed to your home’s air for a certain amount of time to collect samples. Active testing devices require power and measure and record the levels of radon in your air using continuous working level monitors and continuous radon monitors. If the level of radon gas found in your home is at the level of four picocuries of radon per liter or higher, you need to install a system that will reduce those levels. If you haven’t tested your home for radon, then you should do so to help reduce the risk of getting lung cancer. For more information about lung cancer or for health tips in general, visit us at the Benefits Store today.